Just hours earlier, a leak from Indonesia tipped that the Samsung Galaxy S10 series will go up for pre-orders the very next day after the launch i.e., on February 21. 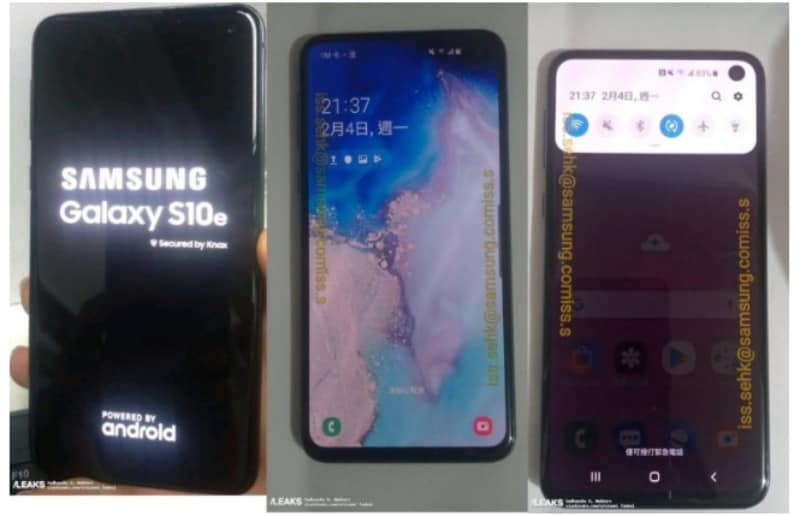 Now, photos of the Samsung Galaxy S10 series have leaked yet again, corroborating past leaks, with alleged dummy units appearing to cement final design details. Furthermore, the confusion surrounding the cheaper variant of the Samsung Galaxy S10 has reportedly been finally put to rest, and the model is now said to be called the Samsung Galaxy S10e. The naming was tipped by leaked images and a new NBTC certification in Thailand. Lastly, the camera details of all the three variant have also been tipped. Starting with the leaked photos Samsung Galaxy S10 and Samsung Galaxy S10+, alleged dummy units of the duo have been snapped and are now on SlashLeaks. These photos are in line with all past leaks showing off the Infinity-O Display panel, the triple rear camera setup at the back, the USB Type-C port, 3.5mm audio jack, and the speaker grille at the bottom edge. The Samsung Galaxy S10+ sports a slightly larger display and comes with dual front camera sensors as well. Separately, tipster Evleaks has also published a new photo showing off a portion of the Samsung Galaxy S10. The triple rear camera setup can be seen, and the image also reveals that the phone will come in a Glossy White finish as well. Photos of the anticipated cheaper model of the Samsung Galaxy S10 have also been leaked on Weibo. 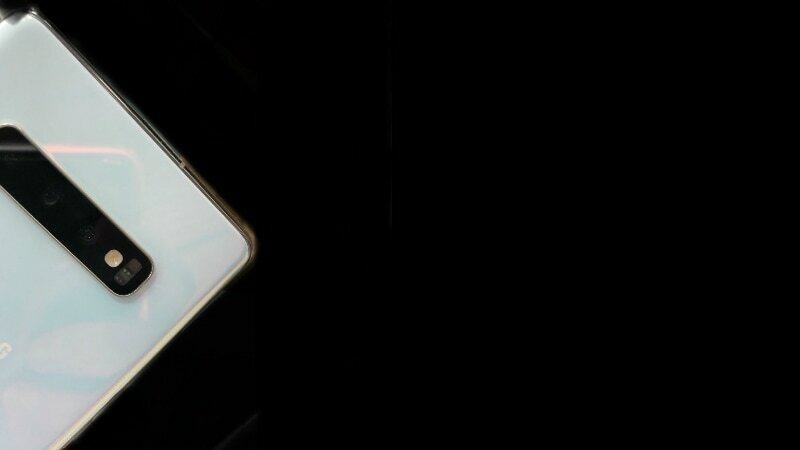 The device is booted up, and the words Samsung Galaxy S10e are seen flashing on the screen, tipping its name. This suggests that the variant will be called the Samsung Galaxy S10e and not Samsung Galaxy S10 Lite or Samsung Galaxy S10E. The photos also show how the screen will look with the Infinity-O Display and the selfie camera placed inside a cut-out on the top right edge of the screen. Separately, NBTC certification agency has also certified the SM-G970F/DS, SM-G973F/DS, and SM-G975F/DS models and is calling it the Samsung Galaxy S10e, Samsung Galaxy S10, and Samsung Galaxy S10+ respectively. This further cements the moniker for the cheapest variant, finally putting an end to all the confusion. These listings were first spotted by MySmartPrice. There's also a separate report from Chinese media new.qq.com that suggests that the Samsung Galaxy S10e will have same front and back camera specs as the Samsung Galaxy Note 9. However, Samsung is said to upgrade its computational photography algorithms on the Galaxy S10e. The report also states that the two premium variants will come with front camera support for 4K video and optical image stabilisation (OIS). The Samsung Galaxy S10 and Samsung Galaxy S10+ are also tipped to sport a triple camera setup, and the report suggests that the specs will be - one 12-megapixel main sensor, another 16-megapixel wide-angle sensor, and a last 13-megapixel telephoto sensor. At the back, the two phones will support GoPro-like electronic image stabilisation (EIS). The Samsung Galaxy S10e is expected to sport a 5.8-inch display, a dual rear camera setup, and a side-mounted fingerprint scanner. The vanilla Samsung Galaxy S10 variant is expected to sport a 6.1-inch display and the Galaxy S10+ is expected to sport a large 6.4-inch display respectively. It's only a matter of few days before Samsung reveals all the official details, and we'll be at the event offering detailed coverage. Stay tuned. Huawei P30 Pro vs Samsung Galaxy S10+: Which Phone Has the Best Set of Cameras? Can Silicon Valley Navigate Its Moral Choices?